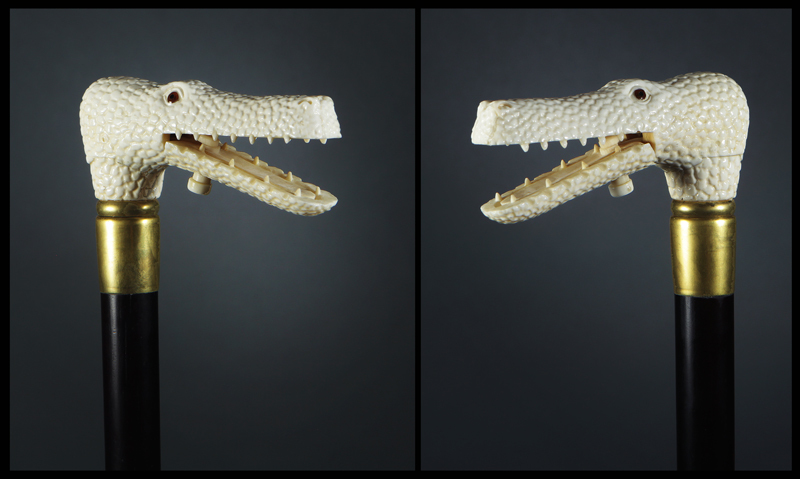 Carved bone walking stick in the shape of an alligator. Mouth unlatches and opens. Brass collar and ferrule. Mahogany shaft. Rubberized bottom.